The Old Foodie: The Many Uses of Malt. Your article on malt is much appreciated. We fell in love with Harrods Malted Biscuits and I would love to be able to make my own. If you or one of your readers have a recipe I would greatly appreciate it. We can't buy them here in the States. Thanks. Now I have something to do with the jar of malt extract that I bought last month in a fit of childhood nostalgia. Ate one spoonful; didn't taste quite "right" (American not British malt extract), and it's been sitting on the shelf, ignored, ever since. Will try the recipe this evening. 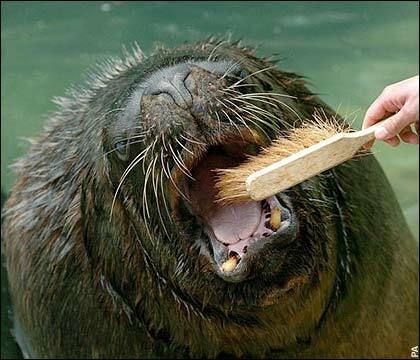 Hello Katie - I dont have a recipe for the biscuits, but I hope someone else does. There is a Harrod's cookbook that pops up from time to time on eBay. I wonder if it has a recipe in it? Anyone out there know? Roger: thanks for your many comments over recent days, I have been too snowed under with life in general to respond to every one. I have fond memories too of malt extract as doled out to English children (and to malt loaf), and intended to make a loaf myself this weekend. Unfortunately I forgot to take my shopping list when I went shopping - which always has serious consequences - and I forgot the malt extract. I'm going to pop back to the supermarket today. We'll compare results. There's a lovely recipe for "malted milk biscuits" in the Women's Weekly biscuits and slices cookbook. However, the malt (or rather, malted milk powder) isn't that noticeable in them as they also contain a large amount of chocolate! Thanks but those cookbooks aren't available here in the States. Love Horlicks but we can't get it here in Holland. A spoon of Malt Extact daily is good for fighting off the colds of winter and high in potassium, also strengthens the bones. Glad I found your post and also glad malt extract is good for you because I also remember it being quite delicious when I was a child. I'm going back to the shop today to buy it! We fell in love with the Harrods Malted Biscuit and I would love to be able to create your own. Thank you for this! 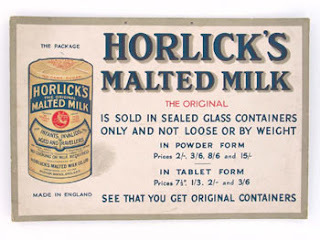 My uncle had a jar of Horlick's Chocolate Malted Tablets in his medicine cabinet in the '60s. I raided them whenever we visited. I ordered some packets of Malties tablets on Ebay in a fit of spontaneous self indulgence . (crunch crunch) they came from Malasia. (!) (crunch crunch crunch) They are made by GSK, the pharm co. They are very similar to what I remember including the stick-to-your-teethness. I have seen the ads in old magazines for Horlicks and have always wondered what malt was supposed to do for me other than stand in for candy in a sugar desert. (yes, desert. As in, no sugar in the house) They actually come up when I scan the barcode w/ My Fitness Pal. What a world!! !